Disclaimer: I did not pay for my meal, the Trade Commission of Spain, the Spanish Olive Oil Industry Organization and Pei Modern hosted a free media dinner. The opinions reported below are based solely on my thoughts at the time of my visit. It’s not everyday you receive an invite from the Trade Commission of Spain and the Spanish Olive Oil Industry Organization. But a few weeks ago, I did. The invite was for a dinner promoting Spanish olive oil, put on by the Trade Commission and hosted by Pei Modern in Collins Street. Pei Modern is a newish venture from the Movida men and Mark Best from Marque Restaurant in Sydney (for more on that, check out the article I wrote for Agenda when Pei opened, here). 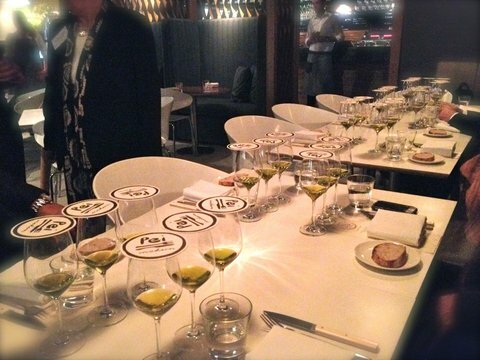 The first part of the evening was an olive oil tasting. For me, it was a rapid and intense masterclass. Before the evening commenced, it’s fair to say I knew very little about olive oil. I knew it was the name of Popeye’s wife and I could tell the difference between homebrand poured from plastic and a quality variety served in a dish at a three-hatted restaurant. That's about it. I didn’t know that Spain produces 52 per cent of the world’s olive oil, or that olive oil is best preserved in 17°C. 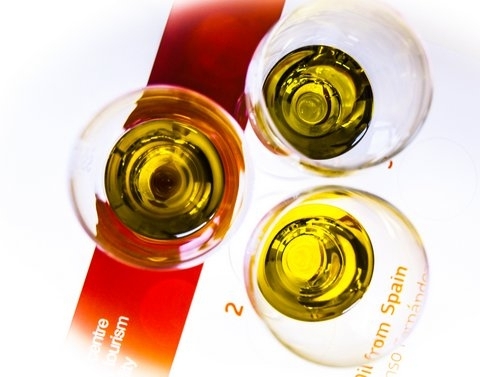 Nor did I know that there are three ways to assess olive oil. These include intensity, whether it tastes ripe and fruity or green and grassy, and finally, the amount or absence of bitterness. 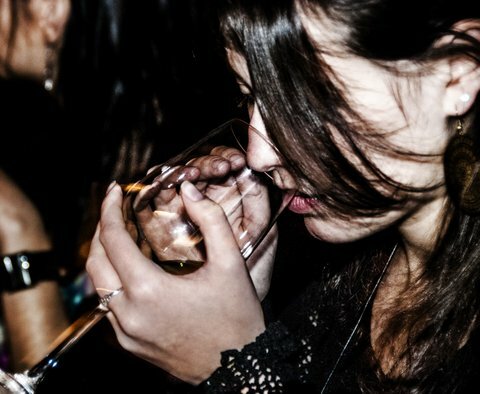 About a dozen of us put our palates to the test. We were seated at two long tables. 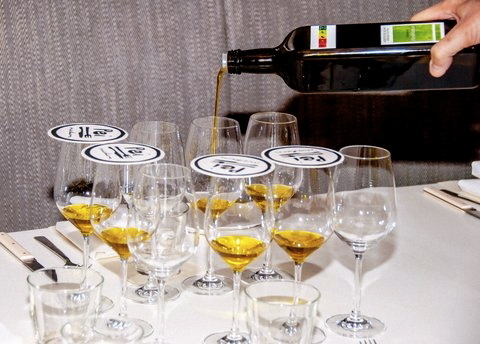 Each setting had three wine glasses filled with olive oil from brought over especially from Spain (can you imagine spilling that in your luggage?). The glasses were covered with a coaster to preserve the aroma of the oils as much as possible. Before tasting each one, we covered the top with one hand and twisted the glass with the other to warm it slightly. Then we increased the surface area by tilting the glass, before lifting our hand slightly and inhaling the oil. Finally, we sipped the oil, holding it in our mouths before swallowing. Apparently you’re meant to wait two to three minutes between oils to let the flavours and sensations evolve. Some serious olive oil aficionados wait up to seven minutes. We sampled three varieties: Arbequina, Hojiblanca and Picual. The first was a light, velvety oil with hints of ripe banana. The second was slightly more intense and had a stronger chlorophyll flavour; some could even detect unripe kiwi fruit. The last oil was the most intense of the three, peppery and stringent with an intense green aroma. It’s important to be aware of the flavours within when cooking, as they influence the measurements of other ingredients used. For example, using a peppery olive oil in a recipe would mean cutting back on black pepper. Following the tasting, a beautiful dinner was prepared in the Pei kitchen using Spanish olive oils. We started with a slice of soft bread dripping with a reduction of tomato and Hojiblanca olive oil, served with a pile of tissue-thin carrasco paleta, a dried, flavoursome cut of pork similar to prosciutto. To follow was a creamy almond gazpacho. There wasn’t a hint of tomato, as most would expect, but it worked. 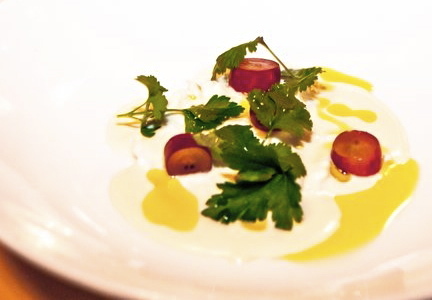 Chunks of blue swimmer crab added texture, while plump grapes and parsley freshened up the otherwise rich dish. Spanish olive formed tiny puddles on top. 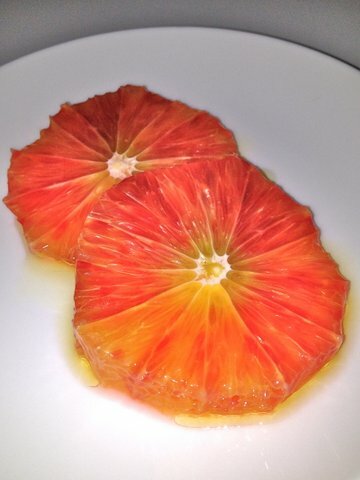 A simple palate cleanser of sliced blood orange with Arbequina olive oil arrived next, the smooth oil a wonderful companion to the acidic fruit. The emulsion of juice and oil swirled on the plate briefly, before being greedily mopped up by crusty bread. The main was a hearty hanger steak, charred on the wood grill but still pink in the centre. 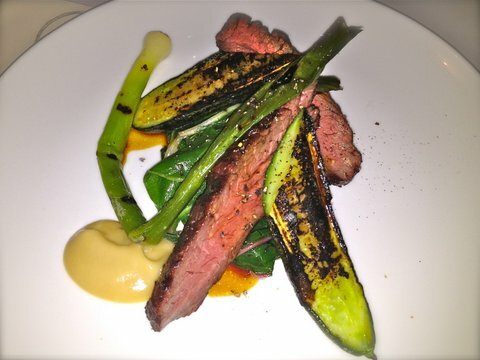 It rested on a bed of swiss chard, paired with a juicy grilled cucumber and bound together with Spanish olive oil. The first dessert was uncomplicated and effective: a quenelle of vanilla ice cream with flecks of vanilla throughout, doused in Picual olive oil. 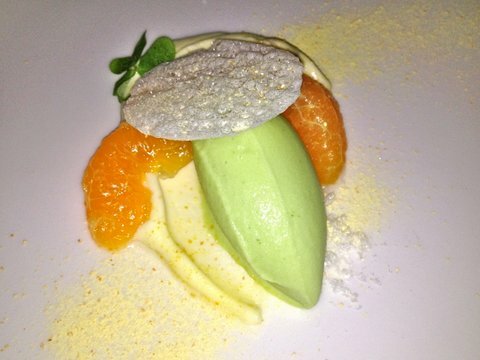 A silky white chocolate ganache with mandarin segments, milk powder and herby sorrel sorbet followed, the cherry on top of an indulgent and well executed dinner. Although the food prepared was undeniably top quality, the informative side of the dinner was an added bonus. Melbourne tends to have a ‘shop local’ attitude, but it really is wonderful to hear the stories behind a superior imported product, from harvest to hanger steak. There is little more inspiring than the passion and knowledge behind a dedicated supplier. At the very least, it pushed Spain to the top of my ‘travel and eat’ list.